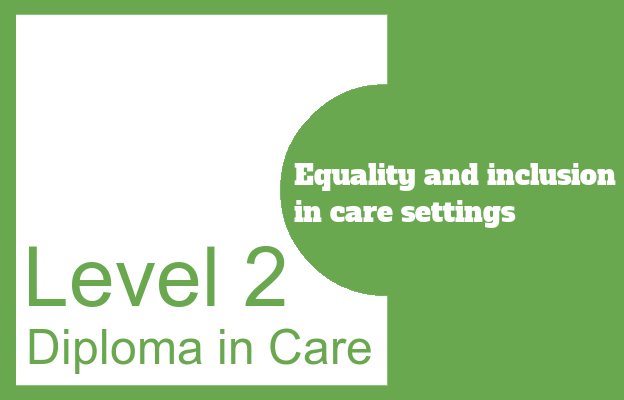 This Level 2 Diploma unit discusses equality, inclusion, diversity and discrimination. It explores the legislation which underpins these subjects, how discrimination can occur and should be challenged and how to access further information. It is made up of 3 learning outcomes, each consisting of 3 assessment criteria.